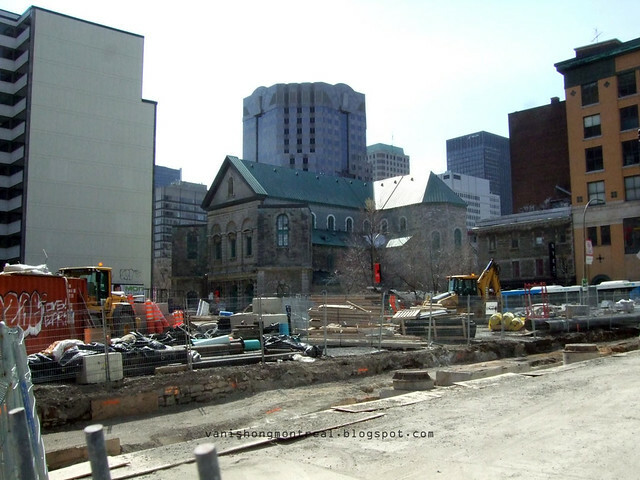 The one good thing about the demolition of the buildings on Ste-Catherine and Bleury (see post below) is this rare view. Very cool. I've never noticed the buildings in the background or never seen the impressive and unique Eglise du Gesù in the wide open like this. This view will disappear when they finally decide to build something there so enjoy it while it last.